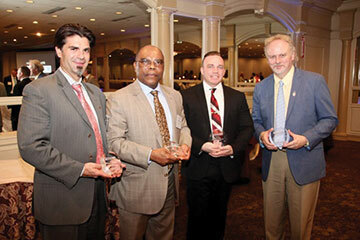 Earlier this year the Middlesex County Regional Chamber of Commerce recognized four individuals who leverage their standing in the local business community to fulfill a calling for social responsibility. “As we know, it’s one thing to be a leader in your industry, but to stand out in both your profession and emerge as a community leader is quite another feat,” said Lina Llona, President, Middlesex County Regional Chamber of Commerce. Among those named to the 2017 Community Leaders of Distinction is Jeffrey Hermann, President of Hermann Transportation, who has spearheaded the Herman Cares charitable initiative for the past several years. Under Jeffrey’s leadership, Hermann Services has supported numerous local causes including Toys for Tots, Hugs for Brady, National Multiple Sclerosis Society, the Red Nose Day, and the South Brunswick Food Pantry & Adopt a Family. “Our entire organization including our employees, clients, and business partners take great pride in coming together to help those less fortunate in our community.” says Jeffrey. Left to Right: Jeffery Hermann, Tab Chukunta, St. Peter’s Healthcare System; Joel Pomales, SOBA College Recovery; and Bert Baron, Beasley Media Group, Inc.